Setting up your site with Mambo Hosting is simple and quick, so everyone can start their own business or personal sites. 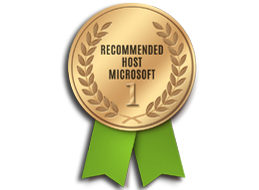 If you have chosen to use Mambo, you can count on our unique Mambo hosting solution. We will make sure that Mambo runs smoothly on our servers and that your website is safer, faster and better supported than anywhere else! Mambo is content management system software focused on business, which means that it will handle all your content in addition to offering full commerce options as free plugins. Some users consider Mambo a “designer’s CMS,” meaning that it has numerous design elements you can tweak or add, without it being as geared toward developers. If anything, the criticism of Mambo seems to be that it is too light on features. Mambo is a popular open source web development platform and content management system. Due to its highly customizable and flexible features it is widely used to develop numerous types of web applications and websites. Many e-commerce sites, shopping cart apps, educational and government websites have been created with this technology. Our support team is extremely fast and can help you with setting up and using Mambo on your account.